Orthopaedic Specialists of Connecticut > Our Doctors > Antonio Paz, M.D. Over the last three decades, diagnosing and treating chronic pain with traditional methods has proven to be unsuccessful. And studies point to the fact that the addictive quality of pain relief drugs has been a main factor that landed the nation in the middle of the current opioid epidemic. But, patients who suffer from pain now have access to cutting edge solutions at Orthopaedic Specialists of Connecticut (OSC) — without resorting to addictive painkillers. 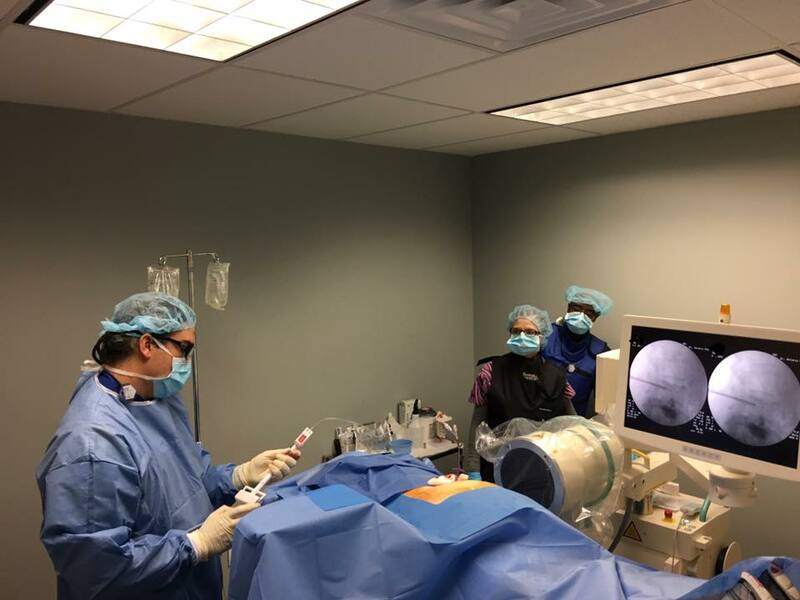 Dr. Antonio Paz has completed another ground breaking procedure at Orthopedic Specialists of Connecticut.. Kyphoplasty is a minimally invasive technique performed through a small incision in the skin over the spine, which restores height and integrity of the bone. A patient suffering from pain due to a vertebral compression fracture can be treated and leave the same day, pain free. A vertebral compression fracture when left untreated can cause chronic bone pain, disability, kyphosis, decreased lung capacity, and decreased quality of life. This procedure can restore and improve patients’ symptoms immediately, without the need for a prolonged hospital stay.